Individuals fall into substance abuse for various reasons, some may begin to experiment with drugs such as opiates in a social environment due to peer pressure while others may start abusing substances because they are unable to cope with specific stressors in their life. Regardless of the reason to why a person begins to abuse substances, whether through experimentation or through escape, the reason why they continue to abuse substances is usually another "reason" all together. In other words, along the path of substance abuse, the body and mind get addicted to substances and become dependent upon them. Substance abuse not only impacts an individual's life in a negative manner, but it can also have extremely detrimental effects on the lives of those around that person as well. 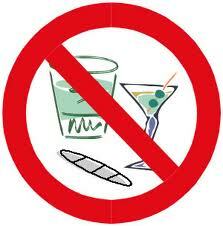 There are all types of substance abuse that range from alcoholism, prescription pill abuse to illegal drug abuse. Alcohol abuse can range from drinking at various time of the day to excessive drinking each night which is usually accompanied by blackouts. Alcohol, in and of itself, can cause many problems in interpersonal relationships as well as shake the foundation of a marriage. Prescription pill abuse is another problem that plagues this country. Depending on what type of prescription medication is being abused will determine the severity of side effects that can accompany this specific abuse. Liver problems as well as acute kidney issues can often result from exceeding the recommended dosage from a physician. In fact, according to the National Institutes of Health, almost 20% of Americans have used prescription medication outside a prescription. The severity of addiction and the amount of time abuse occurred will determine what type of rehabilitation that is required in order to normalize the body. Often times, people try to detox off prescription pill or other drugs using methadone and suboxone and find they are worse off then when they were habitual drug users. Illegal drug abuse is also rampant across the country and includes the abuse of Marijuana, Cocaine, Opiates, and illegal Amphetamines. Illegal drug abuse can severely alter an individual's personality where a person will do things that they would not normally do while sober. The road to health and recovery differs in time for each individual, but that road exists for everyone. In light of this information, if you know someone who is in need of help and requires a helping hand to the road of successful recovery, please refer them our website, http://www.thecolemaninstitute.com. We would be happy to help assess the situation and offer our professional help.